The "tarn" is actually taffeta fabric cut into strips. Taffeta is very easy to cut into strips. You just make a notch and pull. See video below. Taffeta tarn is held with one strand of gold viscose DK-weight yarn. 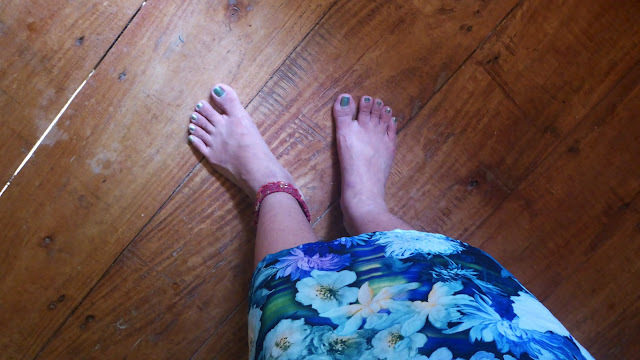 A chain of suitable length for anklet is made, with tail ends about 6 inches long. Tail end is sewn to make it tighter and thinner, then made into a loop for the button loop. 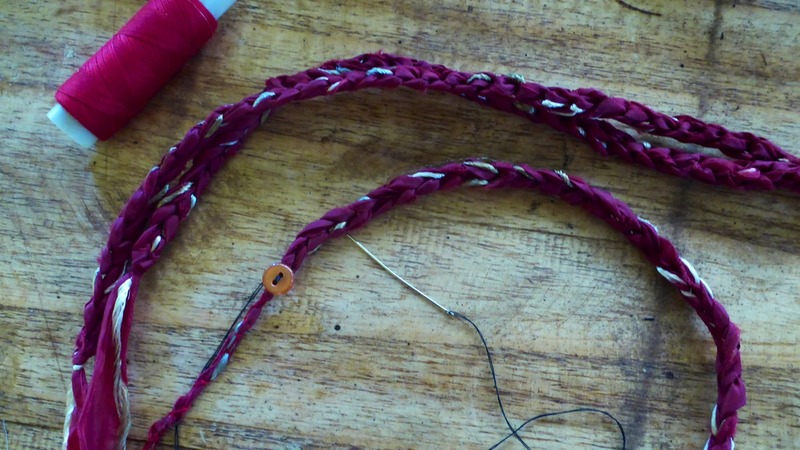 The other tail end is sewn to secure and make tighter, thinner and cleaner. Buttons are sewn along the right side of the chain. 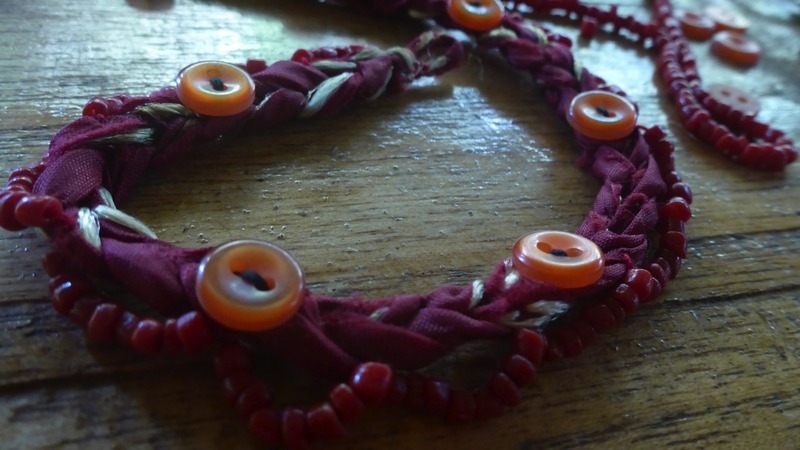 Then red stone beads are sewn along one edge of the chain. Very easy to make if you have the patience to sew tiny beads! Then the following day I made another anklet and a necklace. 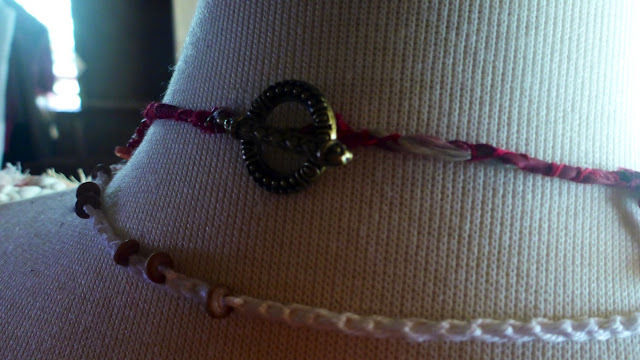 Here are the two anklets. 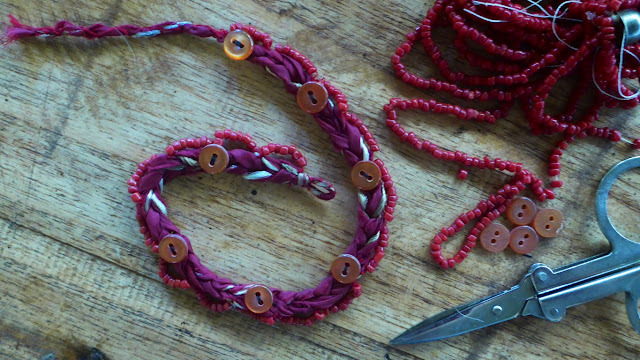 The second anklet is sewn with gold spangles, not the tiny beads. I use one button with the loop. And here is the necklace. 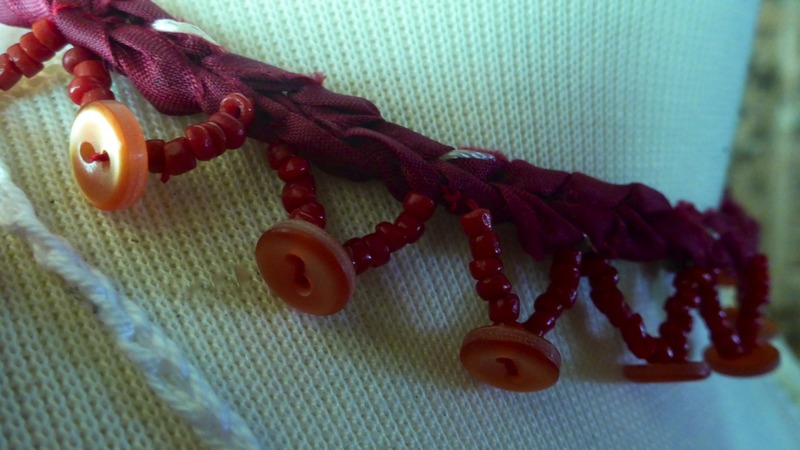 It is made up of tarn, buttons and tiny beads. 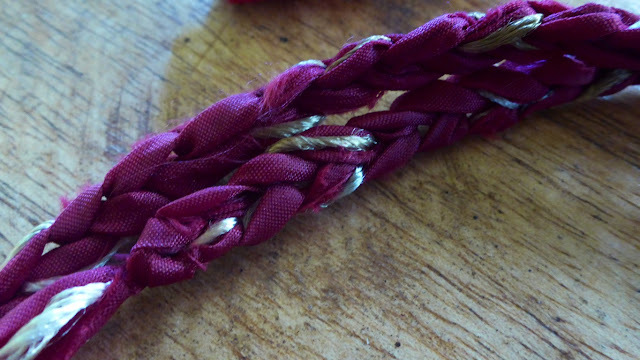 For the closure I used this antique gold colour toggle clasp. 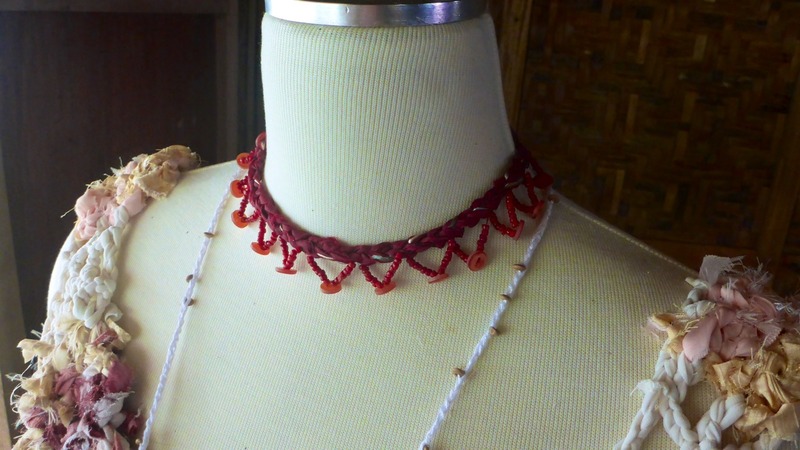 The white bead strap worn on the model is a crocheted Amulet Bag.